What were the best stories Kotaku ran this week? Maybe these? Yeah, read our highlights at selects.kotaku.com. And let's hope Tina doesn't notice that I posted this round-up a few hours late. Shhhh. 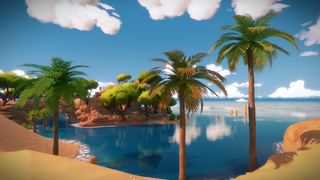 Top image is from this week's new batch of screenshots from The Witness, which sure looks nice, huh? Looking at it makes me feel like I'm still on vacation. So pretty.